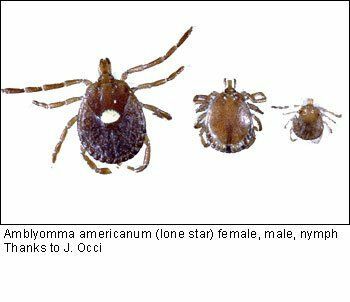 New areas in New Jersey were found with the Asian longhorned tick Haemaphysalis longicornis. And the range for the lone star tick Ammlyomma americanum was extended farther north than previously known. The Tick Blitz was a cooperative effort among New Jersey mosquito control agencies to perform tick sweeps throughout New Jersey on a single day, to provide a general idea about tick distribution in the state. This effort is the beginning to providing information to New Jerseyans regarding ticks and what they can do to protect themselves and their pets. For more information, see this SEBS/NJAES news release. This entry was posted in Uncategorized on June 21, 2018 by Lisa Reed.